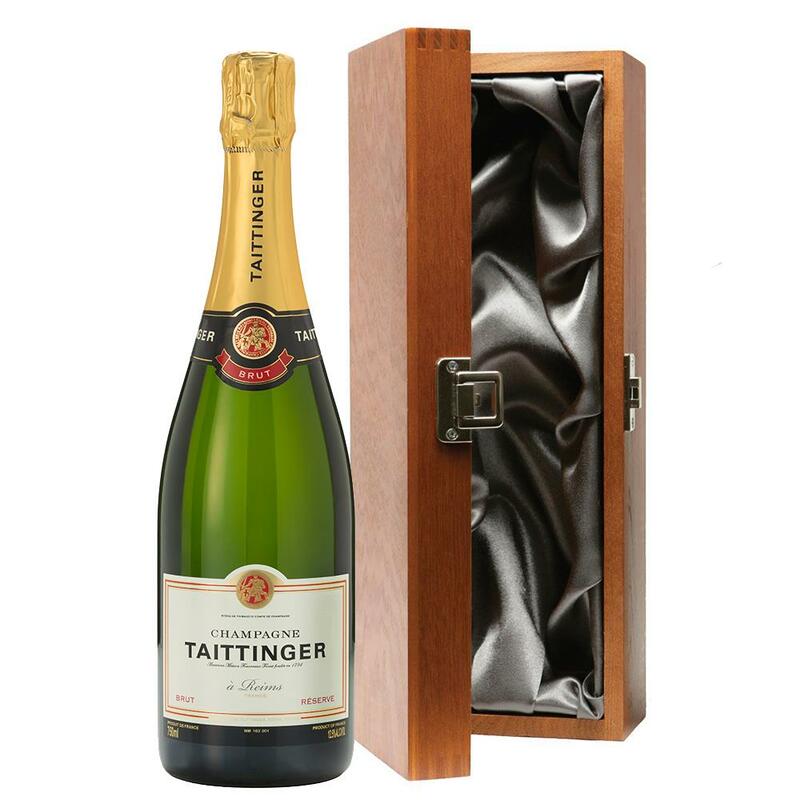 Luxury added to your bottle of Taittinger Brut NV 75cl Champagne Bottle with the alluring wooden case with hinged lid. The case is made from wood, which is beautifully complemented with stainless steel hinges and clasp. This case adds the ultimate luxury to any gift and is delicately lined with silver satin. 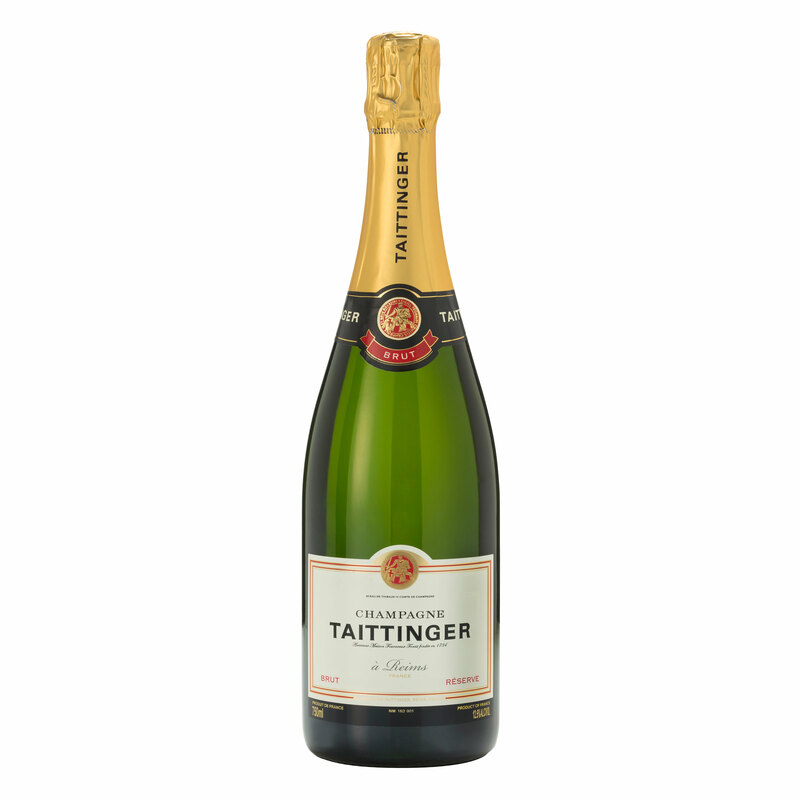 Taittinger Brut NV 75cl Champagne Bottle A brilliant golden straw yellow. The bubbles are fine. The mousse is both discreet and persistent. On the nose very expressive and open. It is both fruity and bready exuding aromas of peach white flowers (may blossom acacia) and vanilla pod. Vinified from the first pressing of selected Chardonnay Pinot Noir and Pinot Meunier grapes. Owing to its extensive vinified holdings Taittinger is able to rely primarily on its own grapes.